Teams must work together to protect their country from being hit by the massive meteor. Planning and execution are cruicial to success. What makes Giant Meteor so popular? Teamwork is vital to stopping the meteor from wiping out your country! Team will be allocated into one of four zones (countries) where they must work together to protect their country from being hit by the massive meteor (giant 1.5m earth cage zone). The facilitator will launch the ball into the air (meteor) where the teams must keep the ball above their heads at all times by continuously pushing it up into the air. Each team’s goal is to redirect the meteor so that it lands in someone else’s country, saving them from destruction. 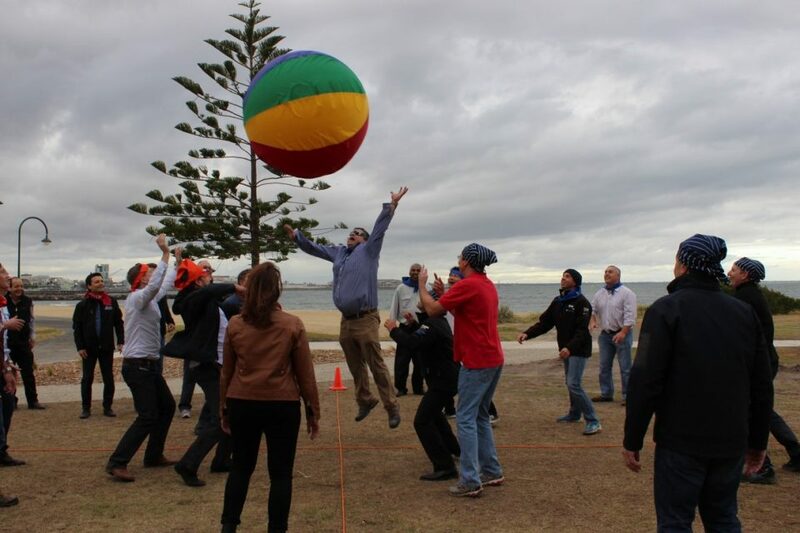 This activity is heaps of fun as each team attempts to land the meteor in someone else’s country. The team that implements the best strategy and can communicate and work together the best will be the last surviving country! 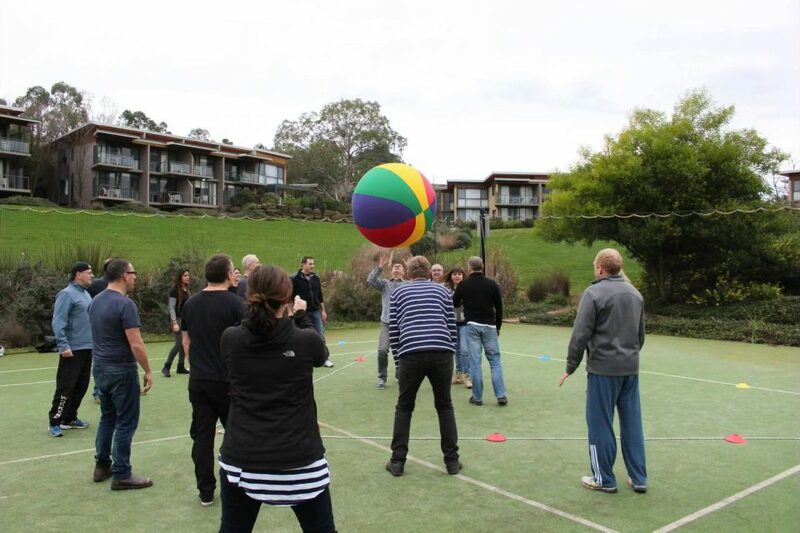 This is a great ice breaker activity to get your team outside, enjoying some fresh air and getting the blood pumping but will also allow them to exercise their strategy, planning, execution and team work skills. 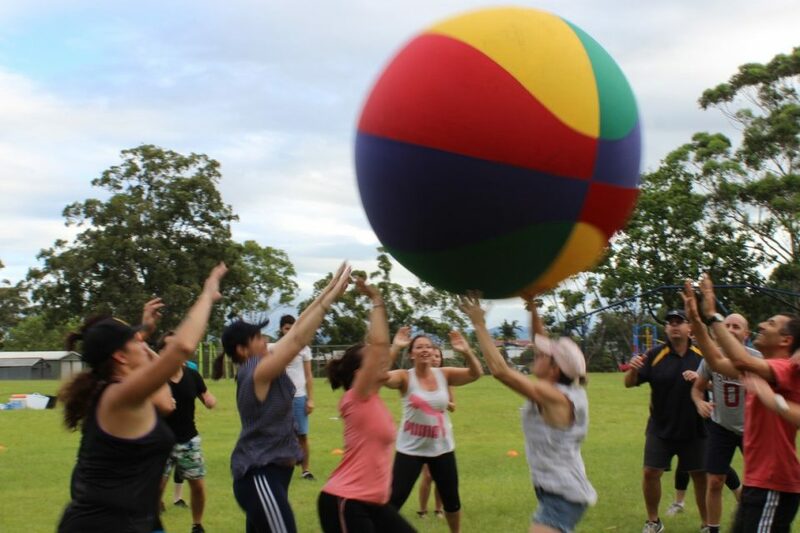 As this activity is very energetic on its own, it is often incorporated as one of the challenges in our Carnivalle or Beach Olympics team building activities as it gives participants an opportunity to enjoy the best of both worlds! 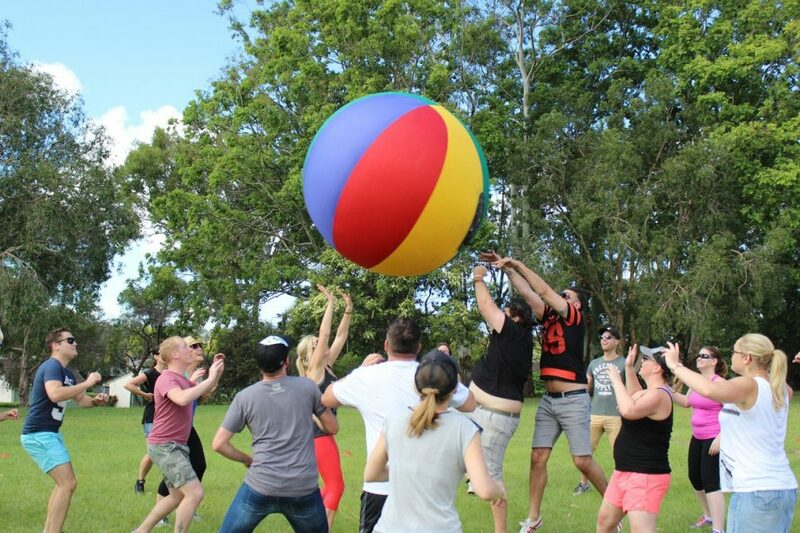 It can also be incorporated as part of a Sports Day Out with Giant Foosball and Dodge Ball team building event. This team building activity is fun, enjoyable and can literally be enjoyed by anyone. It doesn’t require any special skills and is highly interactive and has an intensity level of moderate to high. The minimum duration is 30 minutes and maximum duration is 1 hour. If you require an activity longer then 1 hour we suggest combining this program with another like Carnvialle to provide more variety. The minimum group size is 16 and the maximum group size is 60. This team building activity is fun, enjoyable and can literally be enjoyed by anyone. It doesn’t require any special skills and is highly interactive and has an intensity level of high.